We are so confident you will love our driivng lessons, we are giving new learner drivers a discount worth up to £40 when they book driving lessons in Leyton for the first time. The offer is available when you block book up to 10 driivng lessons or more. Learning to drive can be expensive and help our students complete their tuition without breaking the bank. We have some of the most competitive prices in all of Leyton. Our low cost driving lessons are there to make the entire process affordable and attainable. Block bookings also generate a discount so it's certainly worth booking in advance if you want to enjoy further savings. We have intensive driving courses in Leyton available for individuals who want to learn to drive and pass their test in weeks rather than months. These courses are intensive and they cover the driving syllabus relatively quickly. Our driving crash courses in Leyton are great for anyone with limited time or a deadline for when they need to pass their driving test by. Learn to drive in Leyton with cheap driving lessons from Book Learn Pass. We offer a range of affordable driving courses and learner drivers in Leyton and the surrounding area can take advantage of our excellent prices. Our driving lessons are tailored to your current experience and availability and our driving instructors in Leyton are patient and understanding. As one of the most well known driving schools in Leyton, we have helped hundreds of learner drivers in the area pass their driving test. Our training methods are thorough and our step by step process will ensure you are well prepared for your time behind the wheel. It’s really easy to book driving lessons with Book Learn Pass. You can do so within a few minutes and we respond to all enquiries promptly and with minimal delay. If you would like to book your driving course in Leyton over the phone, you can call us on 07597471607. Our booking team area available from Monday to Sunday 8:00am to 9:00pm and they will happy to help. We understand that some learner drivers would prefer for us to call them back. We do have this option available and to request a call back, fill in the short contact form on this page and a member of our booking team will give you a ring shortly. Learner drivers who would like to schedule their driving lessons via email can do so by emailing bookings@booklearnpass.co.uk. When contacting us via email, please leave your name and location and a member of our booking team will reply to your email shortly. If you would like to pay for your driving lessons at the start of your lesson, you can either pay in cash or pay via your driving instructors mobile payment terminal. Bakers Arms: Located on the edge of Walthamstow and Leyton, Bakers Arms is one of Leyton’s busiest and most diverse areas. 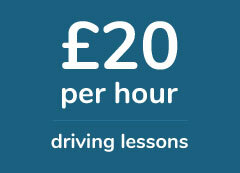 If you live or work in and around the area you can book driivng lessons with Book Learn Pass today. Ley Bridge: Straddling both Hackney and Leyton, the Lea Bridge area is a busy stretch of road connecting East and North London. Our driving instructors work regularly in the area, meaning we can pick you and drop you off anywhere within its vicinity. Grove Green: Located just between Leyton and Leytonstone, Grove Green is a busy and densely populated area in the London borough of Waltham Forrest. With a population of just under 15,000, and more residential houses in development, many of the learner drivers we teach in Leyton reside in the area. As Leyton and Walthamstow are both in close proximity of one another, many learner drivers we speak too would prefer to learn to drive in Walthamstow, as oppose to Leyton. If you are looking for driving lessons in Walthamstow, we can accommodate you as well. Leyton is located in the London borough of Waltham Forrest. It shares a border with Hackney, Stratford, Leytonstone and Walthamstow. It has a population of over 42,000 people and it has a strong multicultural presence with over 60% of its residents from an ethnic minority. Leyton is home to the Leyton Orient football club and part of the 2012 Olympic park was also located within its borders. It houses one of the UK’s leading horticultural market in New Spitafields Market and it is seen as an up and coming part of East London and a desirable area to live in.